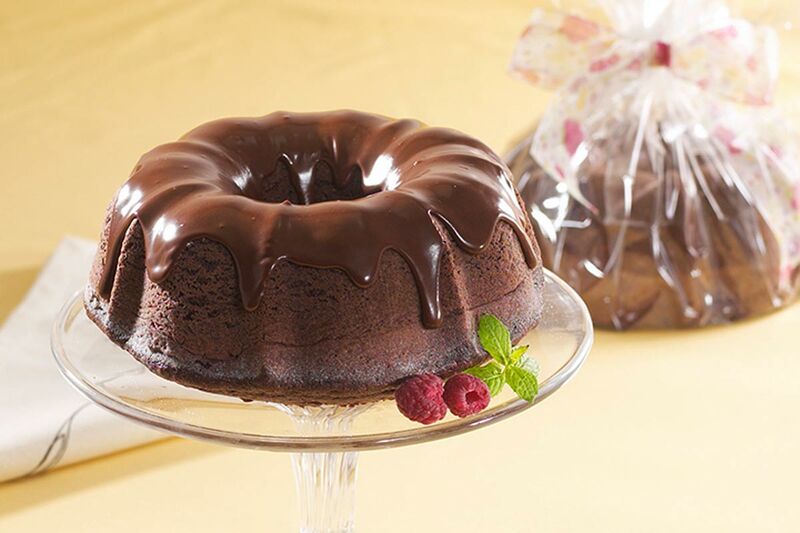 Deliciously chocolatey, a decadent Bundt fit for kings and queens! Heat oven to 180°C and grease and flour the Bundt pan. Add all remaining ingredients, except chocolate syrup and baking soda, and mix well. Spoon 1/4 of batter into small bowl. Stir in the chocolate syrup and baking soda, and mix well. Pour the chocolate batter into prepared pan, then spoon the white batter over chocolate batter. Bake for 35-40 minutes or until a toothpick inserted in centre of cake comes out clean. Let sit 10 minutes before removing from the Bundt pan, then cool completely on a rack.